You will make your own 18-20″ closed eyed baby doll with the Amy’s Dollhouse technique! 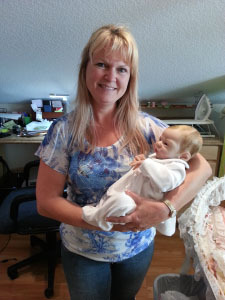 Everything will be provided for you to make your very own SLEEPING baby doll and you will be taught in detail how to create a realistic lifelike baby doll from vinyl doll parts. Live Classes are offered for individuals as well as small groups. 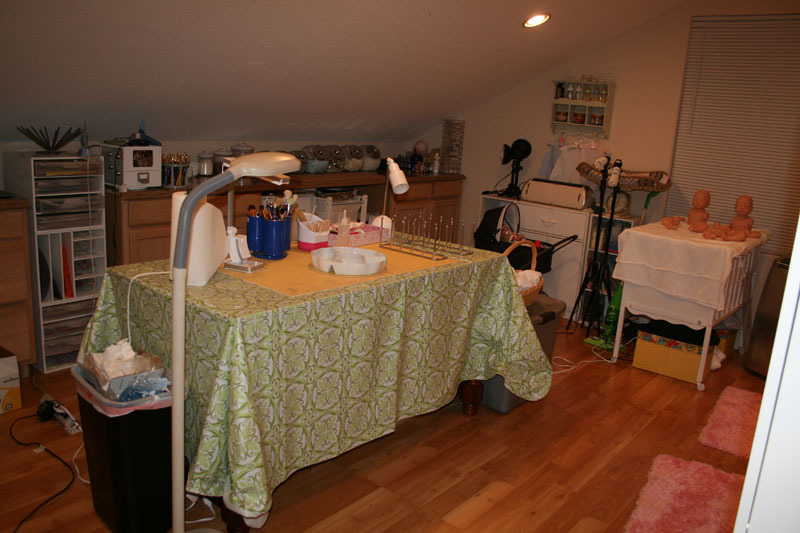 The classes are located at my studio in Southern California’s Orange County. Contact me at amys_dollhouse@yahoo.com to arrange class times. Day 1 (6 hours): You will learn color theory, the art of painting, how to mix the paints, how to apply them, what to apply them with and how to get that realistic skintone of a real baby. Day 2 (6 hours): You will continue with the painting including baby’s details and work towards assembling your baby, you will learn how to weight and assemble your baby’s body. Day 3 (6 hours): You will learn how to root the baby’s hair, mapping the right hair line choosing your own mohair, learning the techniques of rooting without making plugs in the head, learning what needles to use and why and the difference in mohairs. How to make a swirl crown and how to cut and style the hair. You will take home a fully assembled baby with full knowledge of how to continue and finish the rooting. Lunch and refreshments will be provided during the course.